These are my parents. They host Christmas at their place every year. For all of us! These are all the cousins. 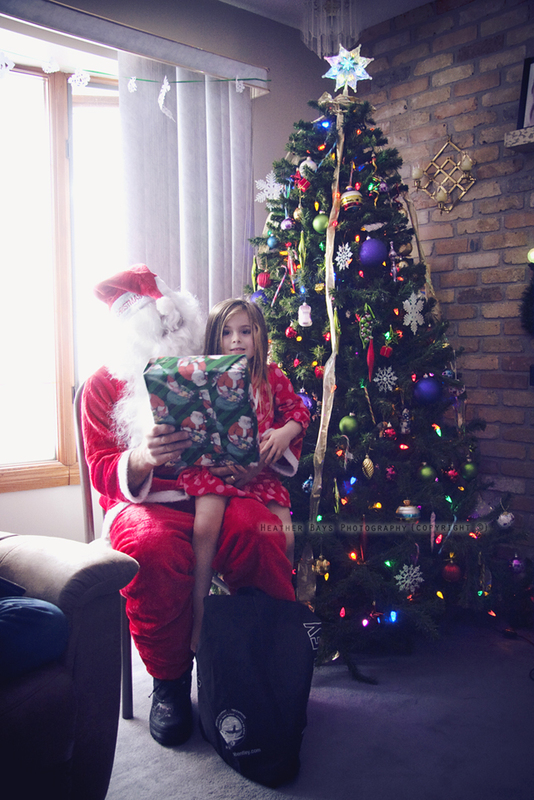 This year, my dad dressed up like Santa for the first time since there's so many little people now! Kadence was up first. Still surprised, but very eager, and not an ounce of fear. This kid has definitely met Santa before. She was a pro. Baby Joel dressed like Santa, but I don't think he has a clue what was going on. Ladesha was skeptical. She's at an age where she's questioning things. It would be weird and creepy for this man to just show up at out house. And it was so bizarre that my dad missed the whole thing. Needless to say, I think she may have figured it out. 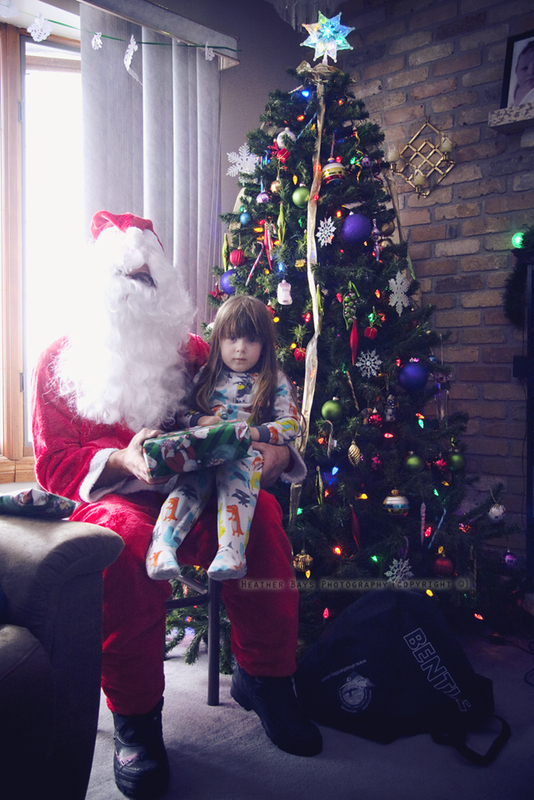 Adelaide was not at all amused by his presence, but his presents on the other hand, yeah, she wanted one of those. She said, " I will sit on his lap for the present, but I will not smile". Way to stay true to your word kid. And Audrey. Well, she pulled a classic. Totally traumatized for life. Christmas is never dull at my parents place. It's always total insanity, and totally awesome. The food is incredible and the baking is out of this world!! So many old family classic recipes get used around this time of year which brings a nice presence of the people who are no longer with us. Seriously, you should see the butter tarts! They're hardly tarts. More like mini pies. And Christmas wouldn't be Christmas without a birthday party too! lol. My Dad's birthday happens to be on Christmas Day. So after dinner, Christmas gets put on hold, and we change to birthday mode with birthday cake and all. Merry Christmas and Happy Birthday!